Think about the birth trauma that new born babies go through. It can be quite a trauma to the whole nervous system. The journey through the birth canal is rough on the neck, spine and cranial bones. Going through the birth canal is very important to help set up the regulation of the nervous system but poor head position, long labors or forceps can create some problems down the road if these stresses aren’t corrected during infancy and childhood. If left uncorrected your baby’s growth, nervous system and immune system are negatively affected. Chiropractic care for infants and children is very safe. 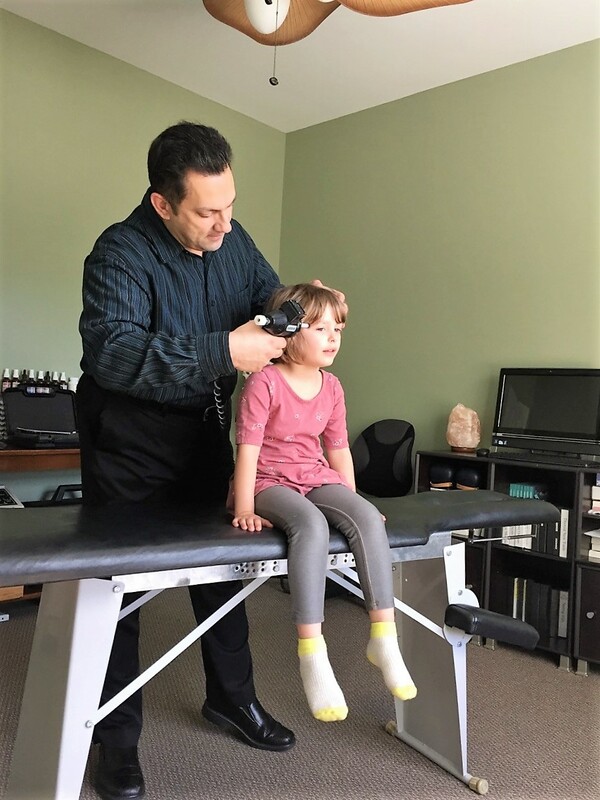 Chiropractic adjustments on infants are extremely gentle often just using one or two fingers to do the adjustment – quite different than an adjustment done on adults. In a child’s first year 65 % of the nervous system and brain development occur. It is important that infants are free of nerve interference and have proper cranial development. Our skulls are comprised of 13 bones that are joined together with sutures that look like puzzle pieces joined together. These cranial bones can get knocked out of proper alignment and can create stress on that area of the brain. Light cranial adjustments can help align these areas and release the stress on the nervous system so that it can function properly. Have you ever observed a child learning to walk or watched children play on the playground? They are always falling and getting hurt. It doesn’t take long to here a child cry because they have fallen while learning to walk or playing on the playground. I am definitely a cautious parent after I have seen my son take some really bad falls as a toddler. It seems like he would always hit his head and as a chiropractor I would cringe because I know what head injuries do to the nervous system. Your nervous system controls everything. Thankfully because I am a chiropractor I adjust my son quite often. It is so important to have your children get adjusted. The falls and head injuries can add up and lead to all types of problems like: learning disabilities, immune issues and even allergies can be linked to misalignment of the cranial bones, neck and back. We try to feed our children the best food, create a safe and loving environment – it’s really important to take care of their nervous system as well.